Multiple build to order options. 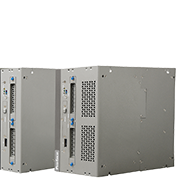 The PS5000 series offers 0 slot, or 2 slot options and multiple features that can be added to customize the product for your needed application. Dependable and energy efficient disk-less operation, perfect for hazardous environments. The most current technology with Windows® 7 Embdeded or Ultimate, and Windows® 10 operating systems. CORE i7, Atom, or Celeron processor options. Shortened downtime with simple part replacement and world class global support. Extensive connectivity and HMI development with the ability to create HMI screens and logic programming using WinGP and GP-Pro EX HMI Development software. Modular design. 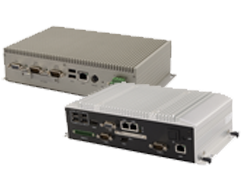 Mix and match our box units with any modular display to create the perfect IPC for your applicaiton. PE4000B Series - Compact durability for multiple applications.